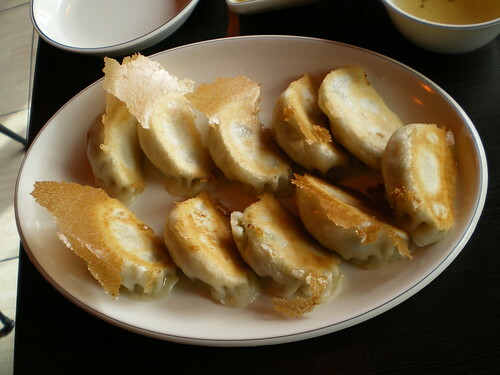 Just round the corner from Itaewon station is the place to go if you are in the neighbourhood and looking for chinese dumplings. 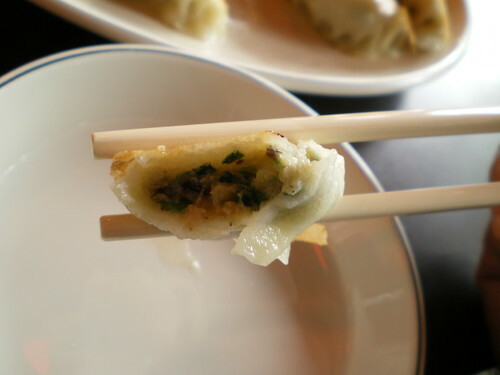 With only six choices on the menu and all of them dumplings, there's no room to be fussy. Just pick them boiled, steamed, souped or fried and get ready for some tasty doughy treats. 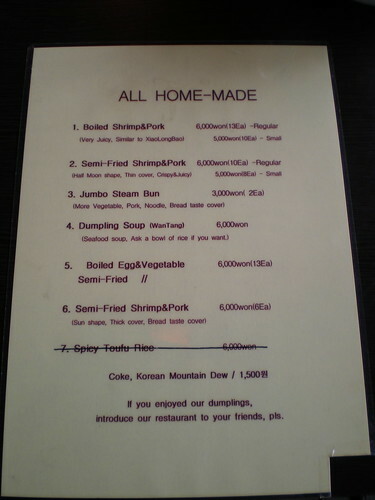 As with many restaurants, Jonny Dumpling's prices have increased, but you can still get a big plate of dumplings for 5,000-6,000 won. I went for the semi-fried shrimp and pork option. After a few minutes wait I was presented with a plate of beautiful half-moon fellows, golden crisp on one side and soft and doughy on the other. Be warned though, these tasty packages may look harmless, but bite into them too quickly and you may find your mouth being invaded by boiling hot juices. Delicious, but ever so slightly dangerous. 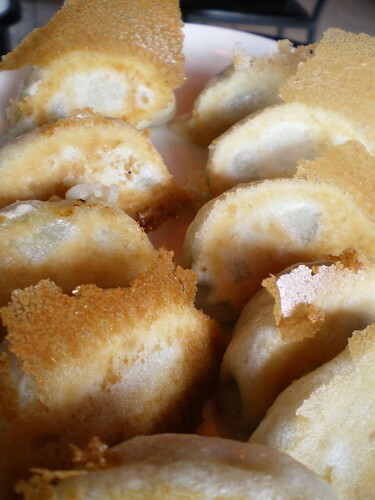 Take your time with these dumplings, treat them respectfully and you'll be safe. Unlike the terrible dumplings you can find at the local kimbap hovel, these ones contain juicy pieces of shrimp and well seasoned meat. The thin layer of dough gives more than enough chew and crunch without leaving you with too much dump and not enough ling. 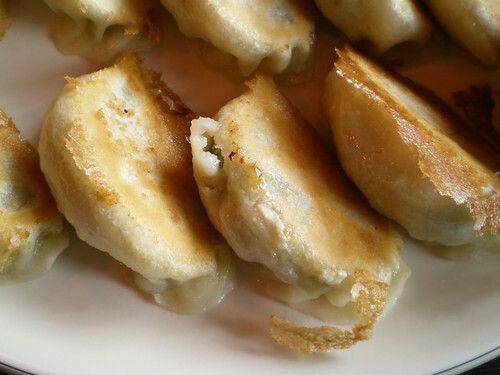 Great as a light lunch or a big snack, these simple dumplings are comfort food Chinese style. 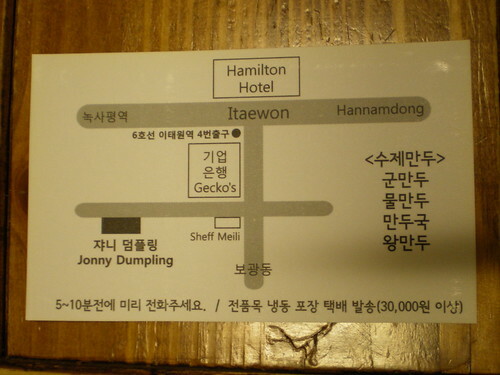 Jonny Dumpling is located just a few doors down from Chef Meili on the small road behind, Gecko's/Steff Hotdog/Baskin Robbins. Contact them on 02 790 8830.